"Filled with scrumptious photographs and unique and imaginative recipes, My Sweet Vegan is perfect for anyone with a passion for baking (and eating!) desserts. 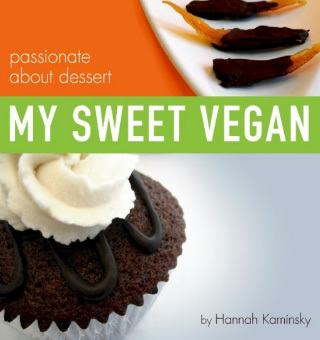 This book is guaranteed to satisfy even the most discerning of sweet tooth, vegan or not!" My Sweet Vegan is available from retail bookstores and natural food grocers throughout the U.S. If you are unable to locate a copy in your local store, simply print out a copy of the My Sweet Vegan Request Form and give it to the store manager on your next visit.